As realtors we often hear from buyers "I already have the letter to purchase"
It is great to have for sure, but have you been pre-qualified or pre-approved? Yes there is a difference between the two, and one will make your offer look stronger than the other when submitting your offer for purchase. Pre-qualified: this is the first step on when buying a home, and it is sometimes very easy to get. It can easily be done in many online sites, or over the phone; it is based on data given (sometimes verbally) by the future buyer(s). It will include an overall picture of income, debt, and assets. The lender will review and give an estimate of how much money the buyer(s) can expect to borrow. Pre-approved: this goes a step further and it is when the lender ask for supporting documentation in order to verify income, debt, assets. It usually includes taxes, paystubs, bank statements, down payment, and credit reports. This will give you a better idea of what to expect from your loan. So when it comes to the time of submitting an offer for a home, your offer will look much stronger if submitted with a pre-approval letter instead of a pre-qualification letter. 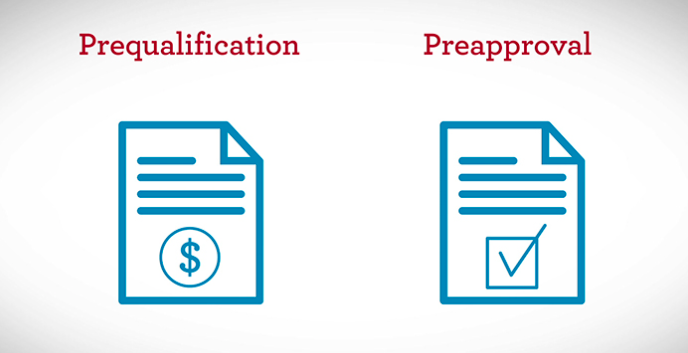 If you need help getting pre-qualified, click loan application or go to the menu tab.